A big thank you to the salesman whose help, knowledge and professionalism was second to non, a pleasure to meet and do business with. We are over the moon with our Renault Captur. Advance rental £240 inc. VAT followed by 48 monthly rentals of £240 inc. VAT. Mileage of 6,000* per annum. *Excess mileage charges apply.Finance subject to status. A guarantee may be required. Terms and conditions apply. Unless otherwise stated, metallic paint at extra cost. Library image for illustration purposes only. In the market for a new Renault Megane? Browse our extensive range of Renault Megane cars for sale and find our latest deals at your local Bristol Street Motors dealership. The new Renault Megane has had a revamp in its fourth generation, now featuring new high quality interiors along with new, high end in-car technologies including a massaging driver seat, full colour dash display and low emissions at sub-90g/km CO2. The entry level engine is a 115bhp 1.6-litre SCe petrol unit, with three turbo charged options above that with increased horsepower. The fourth generation of Renault Meganes are longer, lower and wider than their predecessors, giving them greater presence on the road. The Megane is a smart, comfortable and hi-tech family hatchback. 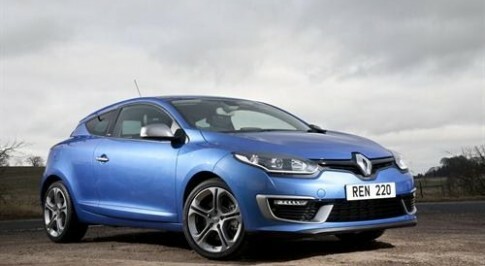 Visit your local Bristol Street Motors Renault dealership to try out the Renault Megane for yourself and see whats new!